Hello Sculptors, it’s time for another round of our new 3D sculpting challenge! This time, we’re moving away from characters and creatures and focus on a weapon instead – and no weapon seems to be more popular on Sketchfab than the good old battle axe! So pick up your favourite sculpting app and enter to win a Wacom Intuos tablet. Read on for the full rules, but the TL;DR version is: sculpt any ‘battle axe’ model, upload to Sketchfab and tag with #BattleAxeChallenge to enter. Update: the winner is in! Create a battle axe of any era or genre. 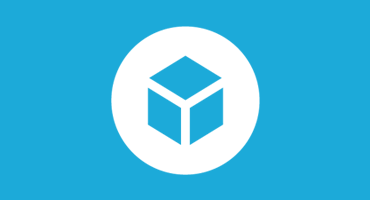 Once you’ve created your 3D model, upload it to Sketchfab and tag it #BattleAxeChallenge. Submission deadline is Monday, May 1 (23:59 New York time – EST). Contestants models must be uploaded to Sketchfab and tagged #BattleAxeChallenge to be considered. The winners will be contacted by Friday, May 5. Yay, another sculpt challenge. Go go go, time to work ! Woohoo! I love your enthusiasm 🙂 Good luck, and have fun! >The winners will be contacted by Friday, March 24. Ahh nice catch 🙂 Updated! Entries will be judged on their geometry only, so it’s better not to replace your sculpted details with a normal map. Ow, okay, because for the texture I use Substance painter and it can create normal map for the little details. So maybe i keep the Zbrush hd sculpt and I use normal map just for the texture. Certainly! Scroll up – I’ve added a link to the top of the article.